Hi! I'm Tobias, Yerra's Legal Director. As a responsible professional, I want to remain informed about what is discussed in the communities around me. As you have probably noticed, a scary ghost called GDPR has been taking over these conversations. It has become almost impossible to refresh my LinkedIn feed without finding a new article about how tough the implementation of this new European Regulation will be on companies all around the globe. 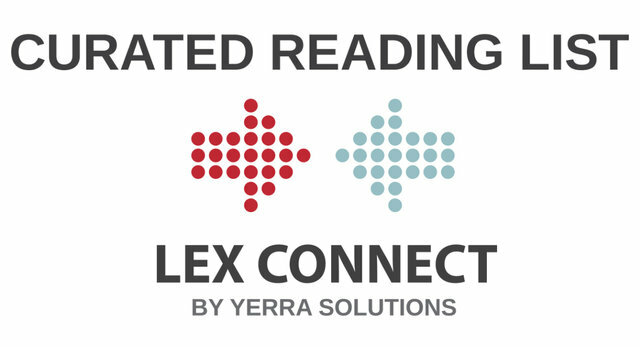 This year was Yerra’s first time attending Lexpo. The Legal Innovation event is packed with top quality speakers and topics. We met some fantastic people and learnt much from the subjects on offer. The event had a large leaning towards the impact AI has had and will have on the legal industry. Here are our top takeaways. ​In other words, like it or not, a robot is not about to replace your lawyer. At least, not anytime soon. CLOC, and the growth and validation of legal operations, or legal ops, is one of the most significant trends affecting the legal industry. Legal operations is a position inside the majority of Fortune 500 companies, separate from in-house counsel, whose role is to ensure that the legal department functions more like a business. Zion Market Research has published a new report. According to the report, global demand for eDiscovery Market was valued at USD 6.25 billion in 2014 and is expected to generate revenue of USD 15.50 billion by end of 2020, growing at a CAGR of over 15% between 2015 and 2020. General counsel must increasingly become mini-CEOs of their legal organisations, building their departments in the same way as CEOs build companies in order to address the exponential changes these challenges are bringing to the profession, according to Pearson general counsel Bjarne Tellmann. The majority of business people understand that most new industries consolidate as they mature. I will attempt to provide some historical context and explain who wins and who loses when an industry consolidates. My ultimate focus will be placed on the consolidations occurring in the e Discovery industry and how customers are being impacted. In response to the headline breaches plaguing organizations across the globe, there have been numerous solutions and recommendations that have gained popularity in the fight to combat cyber-crime. The WannaCry Attack: A Wake-up Call for Organizational Information Governance? The sort of ransom ware attack experts have warned about for years has happened. Now organizations need to examine their security postures.